Eric Lubbock joined the Liberal Party in 1960, was elected a councillor in 1961, won the Orpington by-election in 1962, and was appointed Chief Whip by Jo Grimond in 1963. Since then, he says, it has been downhill all the way. In the Commons he was on the Speaker’s Commission on Electoral Law in 1964-6, and proposed STV in multi-member constituencies, only to be voted down by 18-1. He also proposed reducing the voting age to 18, on which two Labour Members supported him. “In 1962 the wise, far-seeing people of Orpington elected me as their Member; in 1970 the fools threw me out”. A year later his cousin died and he succeeded to the peerage. He sat on the Royal Commission on Standards of Conduct in Public Life 1974-6, and was Liberal Spokesman on Immigration and Race Relations, 1971-83. In 1976 he founded the Parliamentary Human Rights Group, and chaired it for the next 21 years. He is a member of the Liberal Democrat Foreign Affairs Team, speaking frequently on conflict resolution and human rights. Eric Avebury is a Buddhist, and an active Patron of Angulimala, the Buddhist Prison Chaplaincy. He visits prisons, and raised prison issues in the House. He also plays an active role on asylum policy. 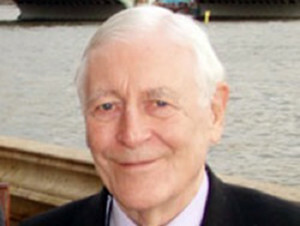 Trained as an engineer, Eric Avebury retains an interest in science and engineering. He chairs a Trust which supports engineering and management education at Oxford University, and for several years ran a computer company. He has a network of six computers at home, which is also his office. He says it takes him 17 minutes to cycle in to Westminster from Camberwell, and he sought and won a battle with Black Rod to keep the right to park cycles against the front of the House.